NEW FOR 2018! WOW! Another one of our Biggest and Most Beautiful Water Slides to date! This thing is HUGE! Vibrant colors on amazing marbled vinyl. The difference between this one and the 19' tall Tropical Water Slide is that the pool is deeper -- all the way to the ground -- on this one. Can also be used as a DRY Giant Slide. 19' Tall. 12 1/2' Wide x 32' Long not counting fans and tubes. 12' High slide platform; Slide is about 22' long PLUS an 8' - 9' LONG POOL to splash into or plow through! From $155 to $310 per day used dry. 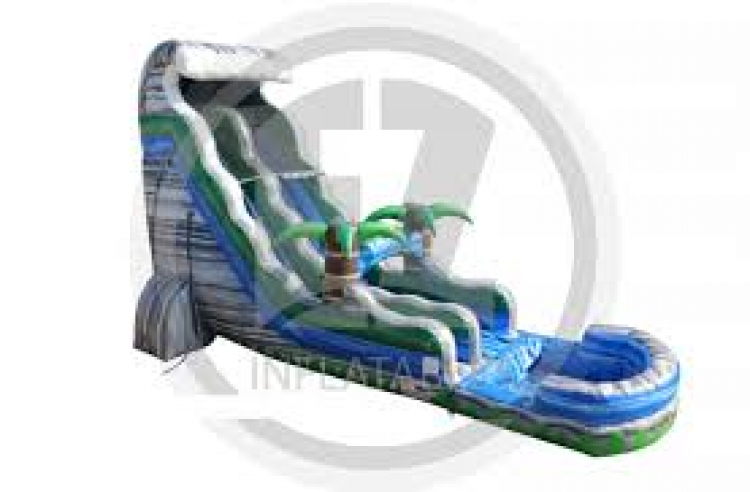 From $175 to $350 per day used wet as a water slide. Fun for all ages. 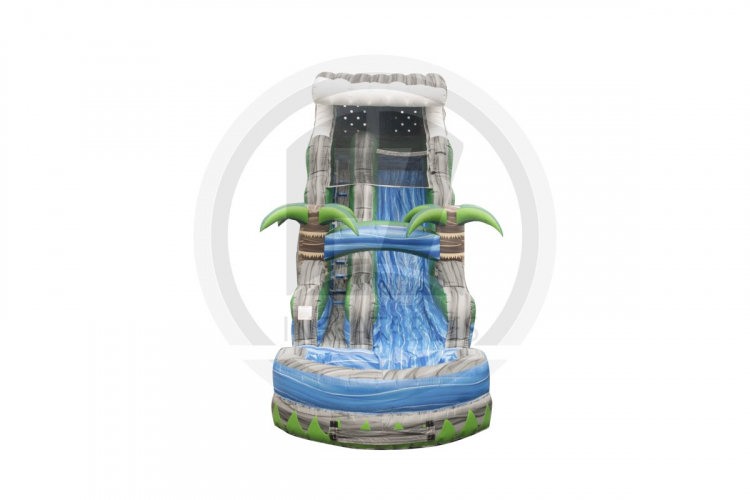 This one is actually a bit shorter in length than the 19' Tall Tropical Water Slide. Both have the same slide platform height.